Petone Settlers Museum | The Petone Settlers Museum Te Whare Whakaaro occupies one of New Zealand’s most significant memorial buildings—the Wellington Provincial Centennial Memorial. The memorial was built to commemorate the arrival of the first British immigrants to Pito-one’s shores in 1840. The Petone Settlers Museum Te Whare Whakaaro occupies one of New Zealand’s most significant memorial buildings—the Wellington Provincial Centennial Memorial. The memorial was built to commemorate the arrival of the first British immigrants to Pito-one’s shores in 1840. To keep up-to-date on what’s going on at Petone Settlers Museum, join our newsletter, The Sometimes Times, and visit our Events page for all of our upcoming events. 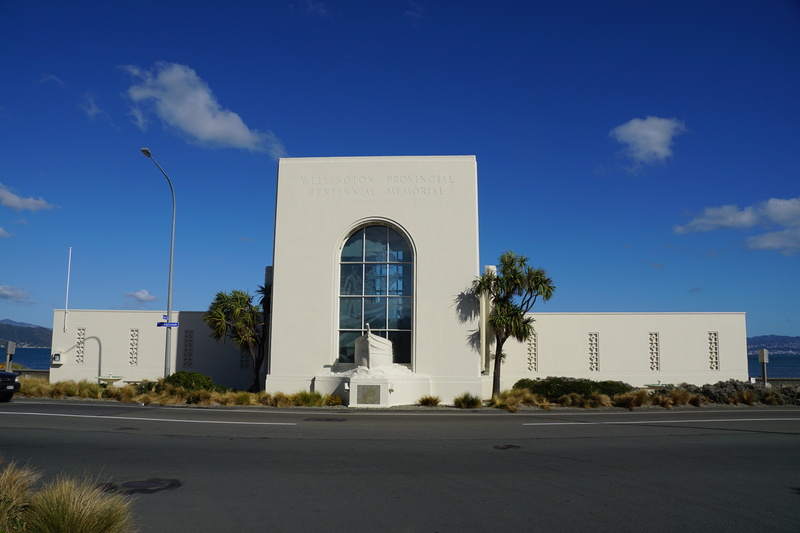 Sitting on the shores of Wellington’s ever-changing harbour, the Petone Settlers Museum Te Whare Whakaaro o Pito-one occupies one of New Zealand’s most significant memorial buildings—the Wellington Provincial Centennial Memorial. This memorial was built to commemorate the arrival of the first British immigrants to Pito-one’s shores in 1840. It was officially opened on the 22nd of January 1940, and, serving also as a bathing pavilion, it became the heart of Petone’s thriving beach scene. Today, the building hosts our museum where we collect, care for and share our shared social history. On a visit to our whare you can learn about Honiana Te Puni-kokopu and, Te Wharepouri, significant chiefs who presided over this area in the 1800s, and experience the conditions that European settlers endured to get to Petone’s shore in 1940, in our replica of a ship’s steerage cabin. You can also explore the far reaching impacts of industrialization, and the ever increasing pace of cultural change with stories about local factories, Bodgies and Widgies and local entrepreneur and fashion label Deryn Schmidt. Recently, we opened Whakatū Wāhine – Women Here a Now, a display that celebrates women’s leadership in Lower Hutt on the 125th anniversary of suffrage in Aotearoa New Zealand. We have continued our celebration of women’s leadership withour latest display which celebrates the achievements of Gerladine FitzGerald, the founder of Chilton Saint James. We are happily wheelchair accessible, including our bathroom. Come for a visit, we’ve love to share some stories with you at our museum by the sea. 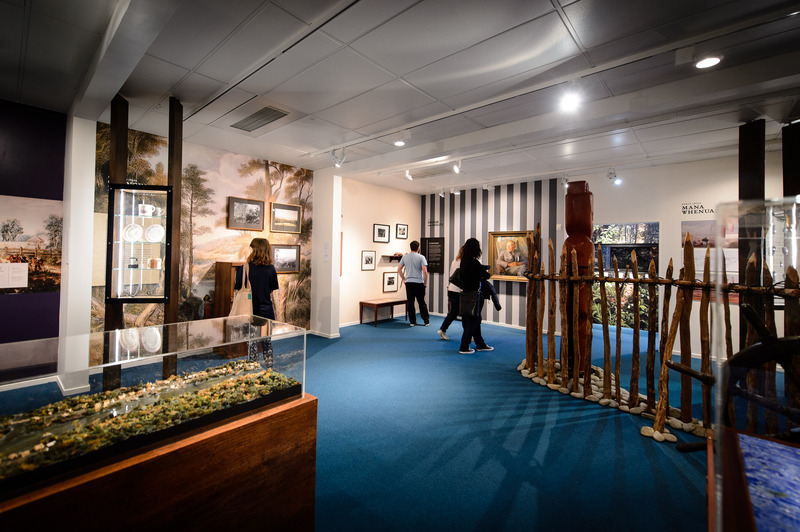 The Petone Settlers Museum receives core funding from Hutt City Council and is operated alongside The Dowse Art Museum. By providing museums the Council enables people to freely access arts and cultural facilities that enrich, inspire and offer a range of lifelong learning opportunities. The museums act as a focal point for the community, enhance cultural life and diversity, and promote civic pride and community values. > Like our Facebook page! For all family and local history enquiries contact the Heritage Centre at Hutt City Libraries.